Many dog owners are deciding they want to get rid of fleas naturally instead of using harmful chemicals on their dog. Here are some reasonings and natural solutions to your dog’s flea problem. There are many effective flea and tick products on the market. Chances are your veterinarian is recommending one of them. But, while they may be effective at eliminating fleas, they are also harmful to your dog’s health. Flea Medications applied directly to your dog’s body, such as Advantage and Frontline are applied to spots on the back of the dog’s neck and along the spine. They get into the dog’s body through the skin. Oral dog flea treatments include Bravecto and Nexgard. These flea meds are given in pill form. They work by destroying the flea’s nervous system. Think about this; If these flea treatments are capable of interfering with an insect’s nervous system, what could it be doing to your dog? These chemical treatments have been proven to cause serious damage to dogs. I used them on my own dogs, on my vet’s advice but each month, I was more and more hesitant to do so. That’s when I decided to do some research on products to get rid of fleas naturally. Bathe your dog with a good natural shampoo to which you’ve added lemon juice. Leave the suds on the dog for about five minutes before rinsing thoroughly. 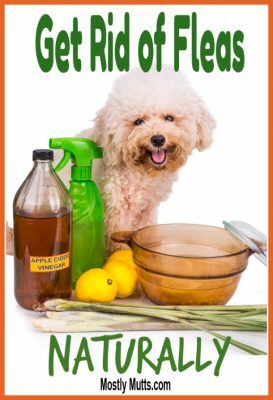 After washing your dog, apply a rinse of one part apple cider vinegar to three parts water. Leave this on your dog and dry him well. Spray your towel-dried dog’s coat with the same mixture of vinegar and water. Use a flea comb to check for and remove any lingering fleas. Make sure to select a flea comb with small enough teeth to pick up the adult fleas as well as the eggs. Dawn dish detergent is a sworn-by favorite of many pet owners for helping with flea control. Simply wash your dog with the detergent instead of dog shampoo. This post may contain affiliate links which means if you make a purchase from a link on this site, I will earn a small commission. This helps to support the site and keep it going but you will not pay a penny extra. 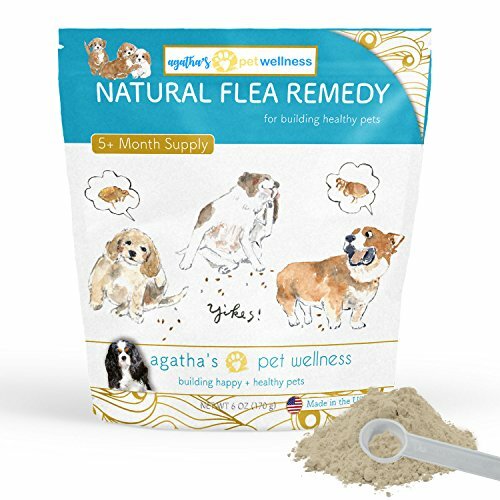 Agatha’s Organic Flea and Tick Prevention Treatment for Dogs is a safe and natural remedy for fleas and ticks. This product is a tasty, flea fighting powder you sprinkle on your dog’s food daily. It contains natural ingredients that repels fleas and makes your dog unappealing to pests. It has many great reviews on Amazon from people who are pleased with how it has helped control fleas and ticks on their dogs. 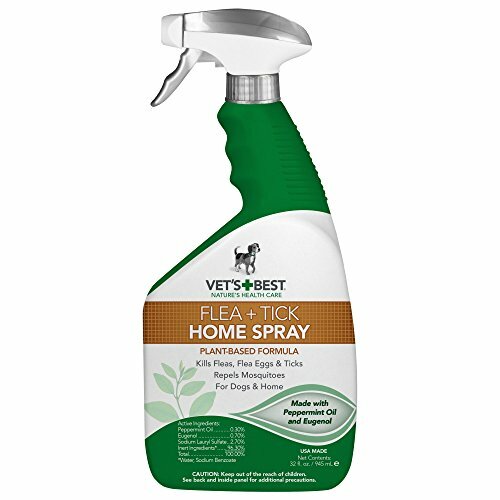 Vet’s Best Flea and Tick Home Spray for Dogs and Home is a spray made of plant based ingredients that kills fleas, ticks and flea eggs. Also, helps to repel mosquitos. As the name states, it can be used on your dog as well as in your home to help eradicate flea infestations. Make sure to spray on dog bedding, kennels & crates, pillows, blankets, upholstery, carpets, etc. There are many positive reviews on Amazon that say it is amazing to watch this natural flea spray kill the fleas. Wash all of your dog’s soft toys and bedding regularly in hot water and detergent. Wash your own soft furnishings in as hot of water as the item allows, Include: sheets, blankets, rugs, curtains, etc. Vacuum thoroughly, all carpets, hard surface flooring, as well as upholstered furniture. Damp mop hard surface floors with a solution of water and apple cider vinegar or lemon juice. A 3:1 ration works well. Wipe baseboards with the same vinegar/lemon solution. Spray indoors and out, in the yard and living room with Vet’s Best Flea and Tick Home Spray. Use on dog bedding, kennels & crates, pillows, blankets, upholstery, carpets, etc. It’s gentle on surfaces but effective on fleas. 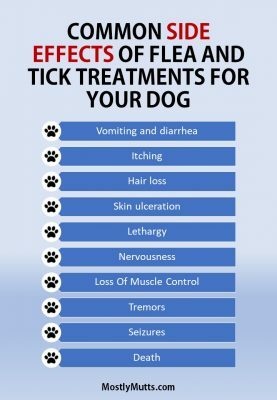 Fleas and ticks can become a real problem for both you and your dog. In addition to the misery they cause with itching in your dog, they also can be hazardous to health. 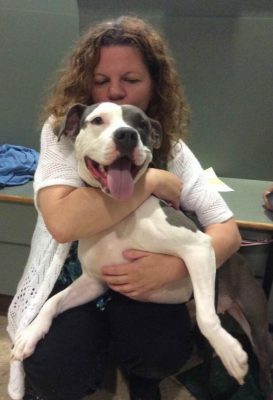 Infections caused by biting and scratching and diseases such as heartworm can be deadly to your dog. Fleas and ticks are persistent but with persistence on your part with non-toxic flea products can help you to get rid of fleas naturally and help your dog live a healthier and happier life. For more tips on getting rid of fleas naturally, check our this article in Whole Dog Journal.